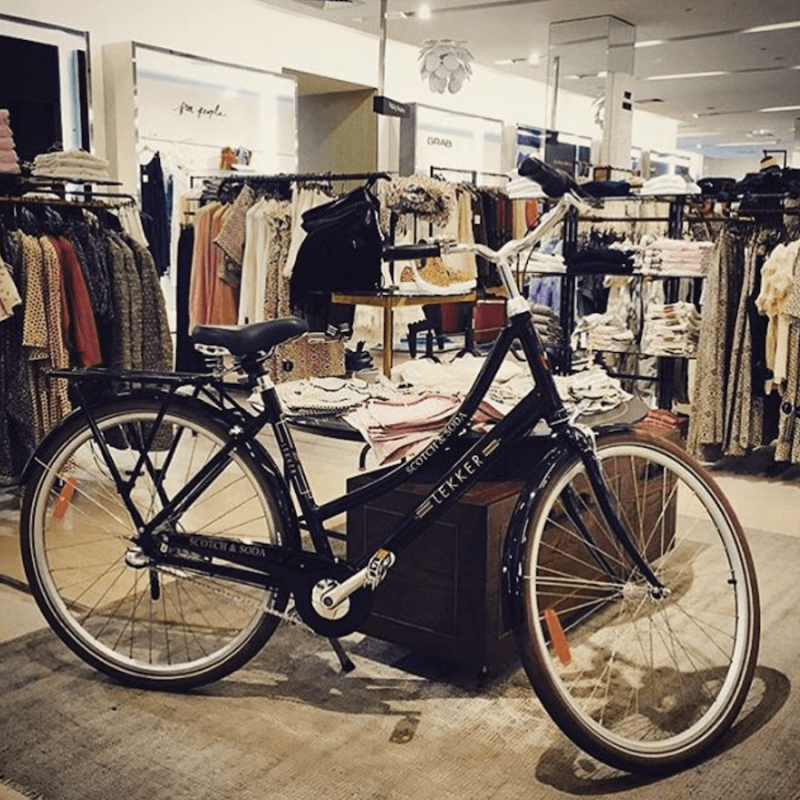 Scotch & Soda created branded LEKKER vintage bikes. Here in Australia, here is where the best from both worlds come together to emphasize the Dutch heritage, because we’re really proud to tell you that we’ve teamed up with Scotch & Soda, the best from Amsterdam combined in Australia resulting in a striking vintage bikes series. Scotch & Soda is an icon of Amsterdam fashion, this brand raws upon its Amsterdam heritage to create updated wardrobe classics that exude a subtle, rebellious attitude. In Scotch’s own words, their team of designers “spare no effort or expense” in creating garments of outstanding quality which showcase meticulous attention to detail. So you can assume both brands have a lot in common, they are both driven by Dutch heritage, born in Amsterdam and totally ready to dominate the Australian market. From now you can find our LEKKER vintage bikes in the shop windows at the Scotch & Soda retail shops. It’s definitely worth a visit, because we have some special in store promotion, so you can win one of our premium bikes at one of their retail shops!